Looking for a St. Patrick’s day gift for someone special, co-workers or a party? We’ve researched 100s of Irish-inspired ideas and narrowed down on 8 ideas for every type of leprechaun lover. This set of four 16 oz. beer glasses are marked with brand labels of top Irish brews: Smithwicks, Kilkenny, Guinness and Harp. A great way to celebrate the Irish spirit and a gift he’s sure to be crazy about. 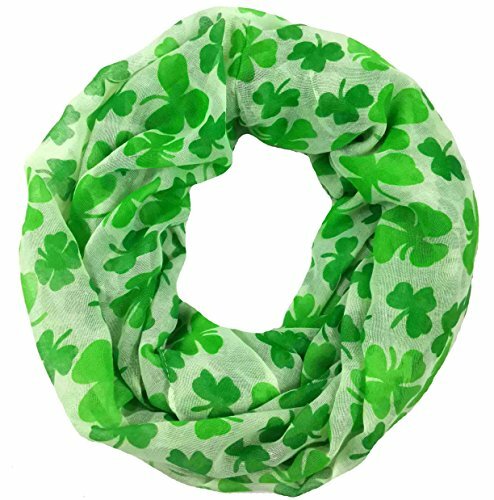 Show off Irish pride year round with this lovely four leaf clover scarf that’s so soft and light you’ll hardly notice it on you. A great accent piece that’s sure to get lots of compliments. For just under $3 each, these coins offer great bang for the buck. 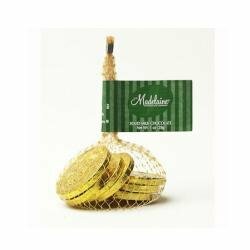 A great gift idea for the office, buy enough for your department and leave them on everyone’s desk for a fun St. Patrick’s day surprise. 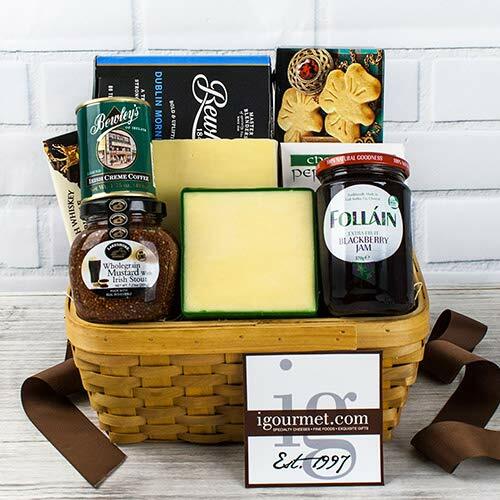 Show someone how much you appreciate them with this tasty Irish-themed gift basket. Packed with goodies from Butler’s Chocolate to Dubliner cheese, the ingredients are top quality with an eye for the authentic Irish favorites. 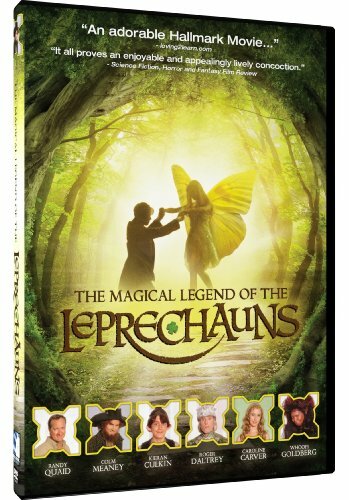 This magical movie transports you to the land of Irish myth, with a star-studded cast of characters including Whoopi Goldberg as the The Grand Banshee. Set to a wonderful Irish soundtrack, this is the perfect St. Patrick’s Day family movie to watch. Part comedy, part romance, there’s a little something for everyone. 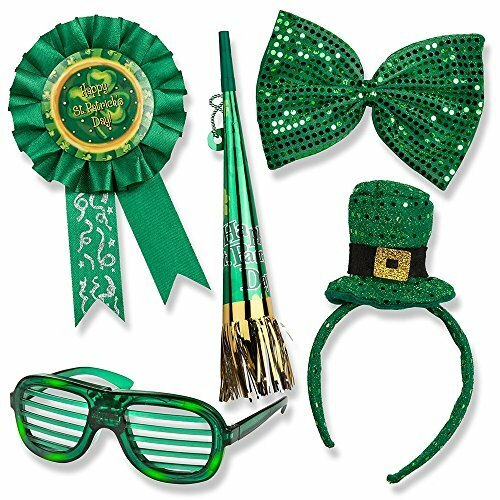 Get green with this great set of St. Patrick’s Day-themed accouterments allowing you to mix and match for the perfect costume. To really light up the party, try on the pair of flashing green glasses included! 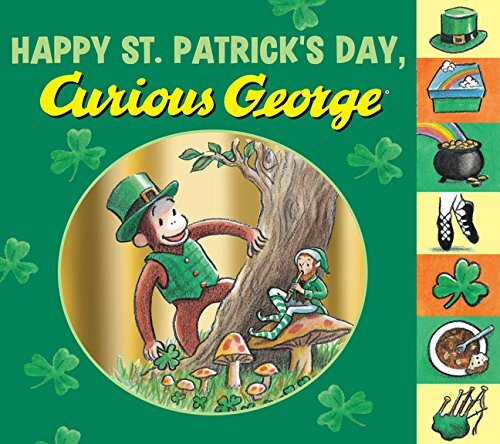 A great way to introduce kids to St. Patrick’s day with the beloved Curious George. Follow this mischievous monkey’s antics leading up to the much anticipated St. Patrick’s day parade. Sure to be a hit with your classroom or family. This popular book is a great guide for families interested in digging deeper into the Irish roots. 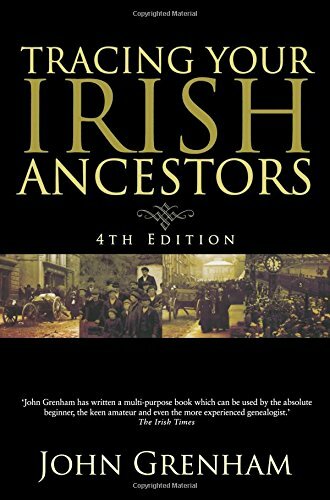 Written by John Grenham, who writes the Irish Roots blog for the Irish Times, the book was originally written in 1993 but has been updated and is still considered a must-have by Irish ancestry devotees. And finally, something to avoid: Anything referencing “St. Paddy’s Day.” It’s St. Patrick’s Day, not St. Padtrick, insist the Irish.